Hey humans! It’s been a while since I last checked in on this blog thing, and a lot has happened since I last wrote… like Darla finding her forever home! Even though I prefer my own company (and not to share attention from humans with other dogs or cats), I’m very happy for her ’cause I heard she had been here for a while, waiting for her humans to find her. When I say she’d been here a while, please don’t think anything negative about HSGKC… see from what I’ve noticed ’round here, this is a special shelter. Our humans care about us lots and lots, and want us to find forever homes, but lots of us dogs who are here make that job a bit challenging at times. So, if it takes more time for us to go to the right home for us, well, then it takes more time. Anyways, Darla was here for a spell ’cause she’s not good with most other dogs, or cats, but she’s perfect with humans, especially small humans, or kids. I’m also great with humans and kids, and love spending time with volunteers on Pack Walks, and playing in the yard (and with my favorite volunteer, Stan). They try to play fetch with me, but I’m quite a tease about bringing back the rope or ball to them… they think it’s frustrating, and I think it’s funny! I gotta entertain myself sometimes! So after Darla went to her forever home, I started thinking ’bout my ideal forever home. I want to be the only pet. I do want all of the attention for myself, and even though I’m 5 years old, don’t let that fool you… I’d love an active person or family to live with! 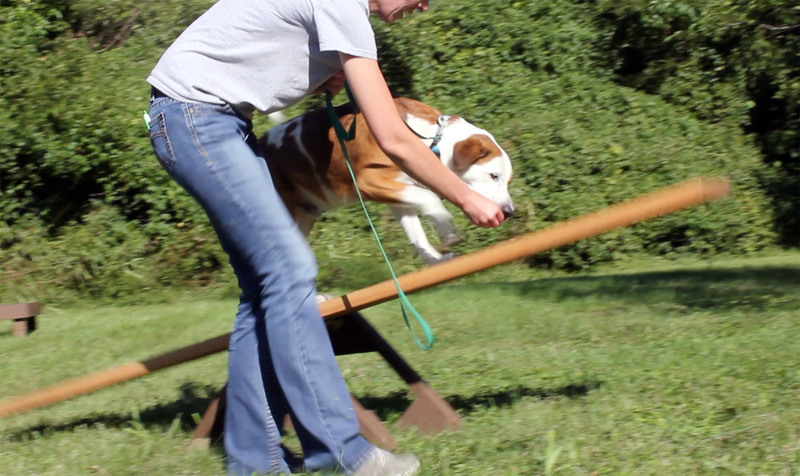 Last fall, Pete and Christine taught me some agility stuff, and I LOVE AGILITY!!! It’s so much fun! I’m very precise, and really have fun running up the A-Frame, and over the Bar Jump! 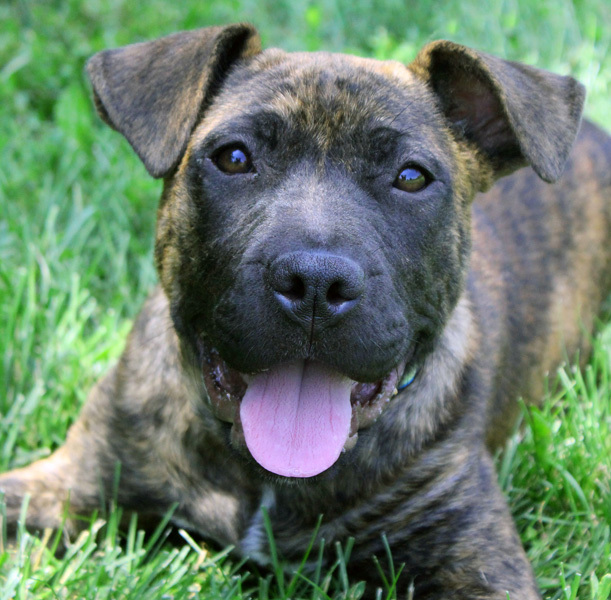 I’m pretty good on a leash, and love going for walks, and would love to go for runs or jogs, too. 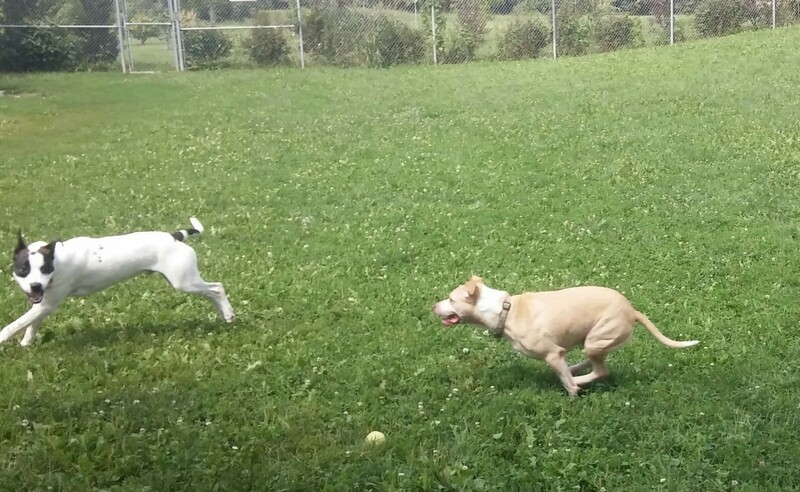 I’d probably be okay in an apartment, as long as my new family would take me someplace (by myself, of course) to run around in a fenced in area. I’d love a house with a fenced yard, but an apartment would work in a pinch. I’m pretty smart, too, and Stan is taking me to obedience classes at The Dogs’ Spot. I’m learning all kinds of things, like “sit”, “down”, “leave-it”, “watch me”, and I’m working on “stays” even though they aren’t my favorite thing to do (“stays” are kind of boring). I love going to class with Stan on Saturdays! I’m excited about this Saturday ’cause in the morning I’m going on TV! You can see me on KSHB Channel 41. My Saturday is going to be AWESOME! this is me learning how to do the teeter totter! That’s all I’ve got for now…but I heard I’m probably going on the KC Pet Telethon this year, so if you miss me on TV Saturday morning, make sure to watch for me on the Pet Telethon. It’s Sunday, March 1st, from 6:30-9:30pm on 38 The Spot (all that’s a mouthful… sheesh). Peace out, I’ll talk at ya’ll later! hi! my name is Aubrey! 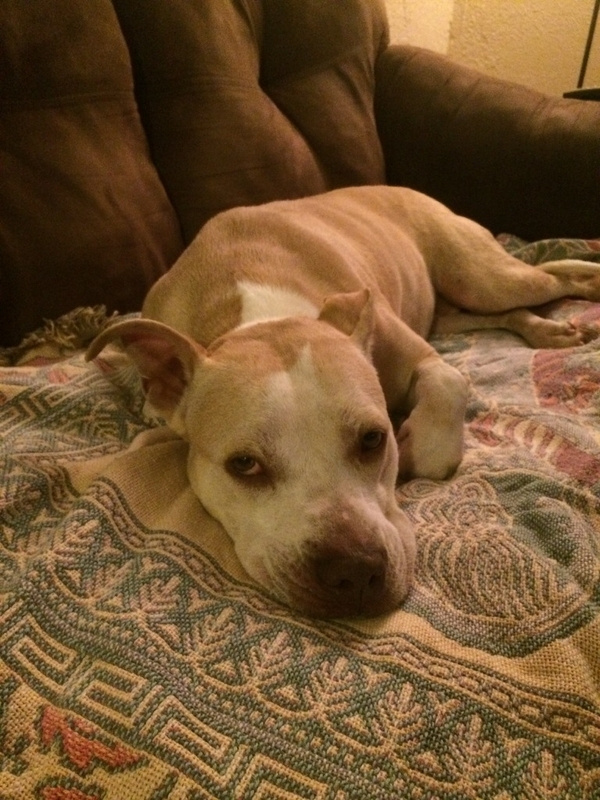 i’m a 7 month old pit bull mix an’ i get to live with Darla… she’s such a good “big sis”! anyways, i came here ’cause i was real sick with somethin’ called par-voh-vi-russ when i was only 4 1/2 months old, then after i got all better from that, our humans found out i had somethin’ else goin’ on with my skin, called dee-moh-dex mange. sheesh, i’ve had lots to get better from already an’ i’m still a pup!! i’m doin’ so much better now, tho, an’ i’m almost finished with my medicine for dee-moh-dex! all the humans here are so nice, an’ take real good care of us doggies an’ the kitties, too! i gotta go to my first sat-ell-ite adop-shun event last saturday with Nemo, an’ Connor, an’ Butler (he’s in a foster home, btw) an’ i had lots of fun! i think i made Nemo tired ’cause he had to take a nap! he wanted to kinda show me how things go at the adop-shun events ’cause he’s been to lots, an’ knows how to impress humans an’ get lots of attention, an’ treats, an’ humans make a BIG deal ’bout him ’cause he’s real nice to everybody! i had lots of fun, but i didn’t need a nap… maybe ’cause i’m younger than him, or i just gots more energy than he does! i did get lots of treats, an’ just had fun doin’ somethin’ a lil different! 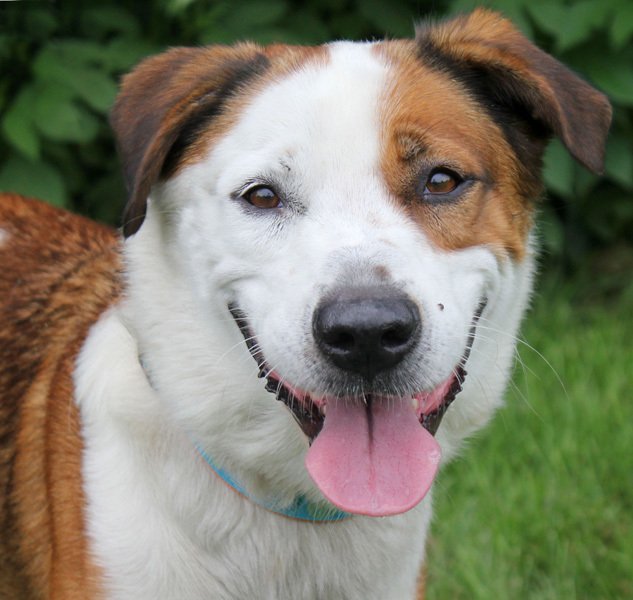 i just heard Jack is gettin’ adopted, so i wanna talk a lil bit ’bout the kinda forever home i’d like to have. 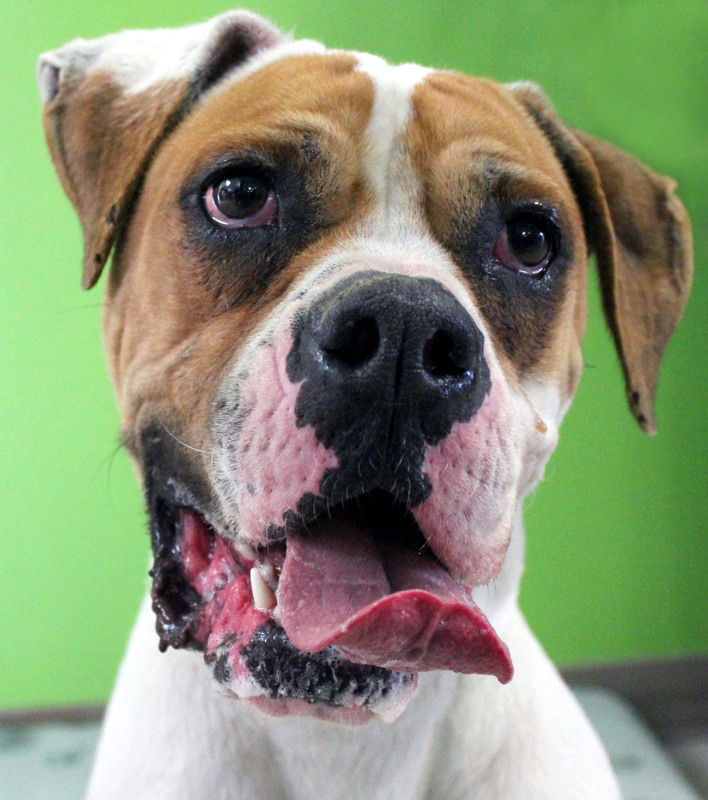 i LOVE playin’ with other dogs, like Darla, so i’d really REALLY love to go to a home with a doggy brother or sister ’cause i’ve got lots of energy, an’ it’s just fun playin’ with doggy friends! 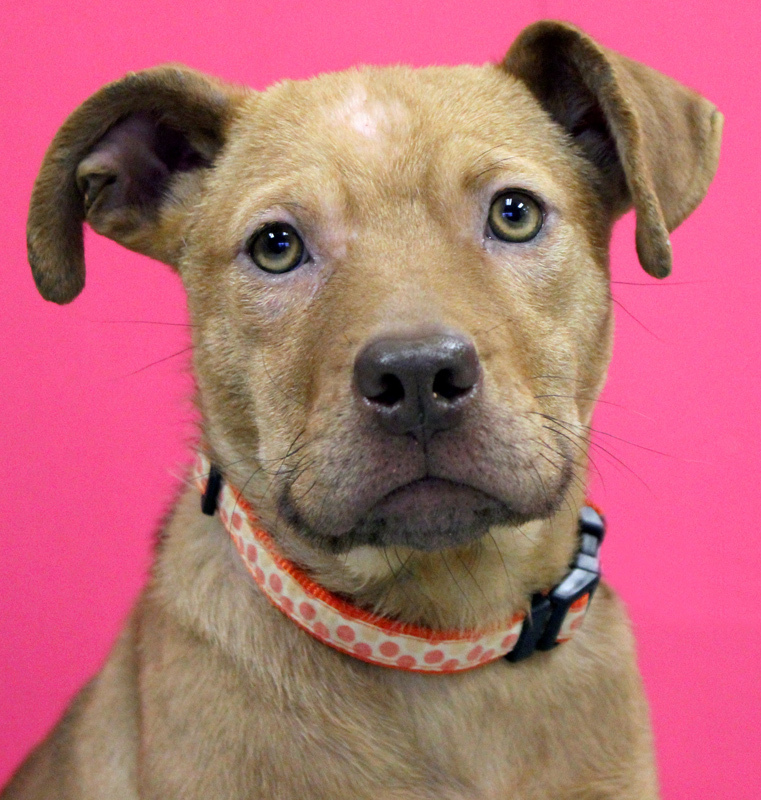 (i wish Darla an’ i could go to a home together, but we don’t gotta, but it’d be nice ’cause she’s been here for a while… an’ i think she gets kinda sad when her roommate gets adopted ’til our humans find her a new friend). i probly shouldn’t go to a home with real small humans ’cause i’m a puppy still an’ workin’ on that “play-biting” thing humans are ALWAYS makin’ such a big deal ’bout… i’m just real excited an’ wanna play! i’m pretty good on a leash, an’ i don’t jump fences, an’ i might be okay with cats, but i like dogs more! i like playin’ tug, an’ with rope toys, too! i think maybe humans who wanna take me for lots of walks an’ runs would be great ’cause i’m kinda busy! 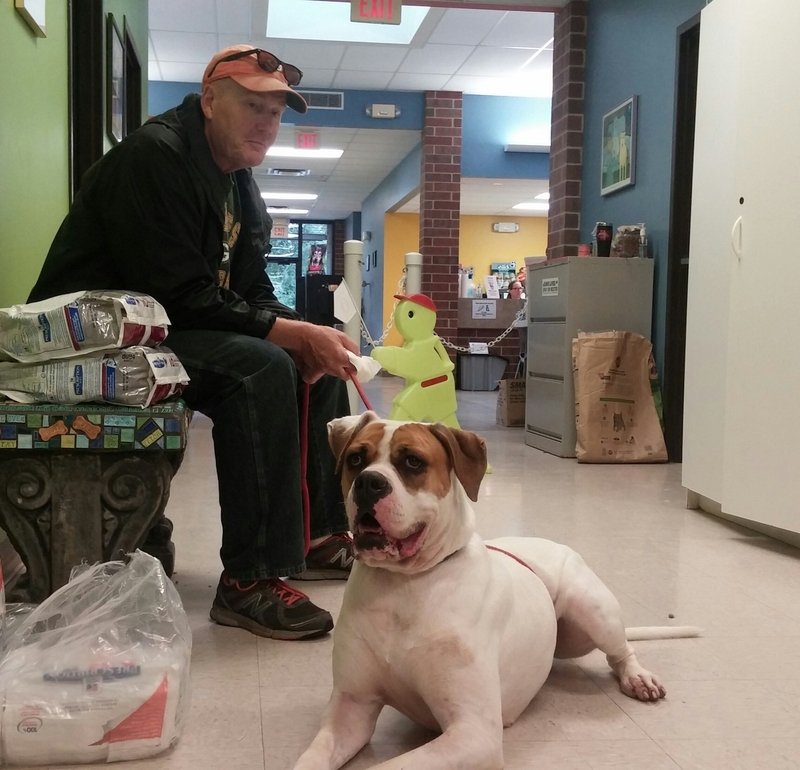 i love days when Chuck comes in (he’s Darla’s FAVORITE human in the whole world, an’ a volunteer), ’cause he always takes us for walks, an’ he always walks us together on the pack walks! that’s all for now, i’m kinda tired after all the thinkin’ i had to do for this blog thingy! if you wanna learn more ’bout me an’ how to meet me, you gotta check out hsgkc.org! bye!!!! hey humans, what’s new with you?!?! 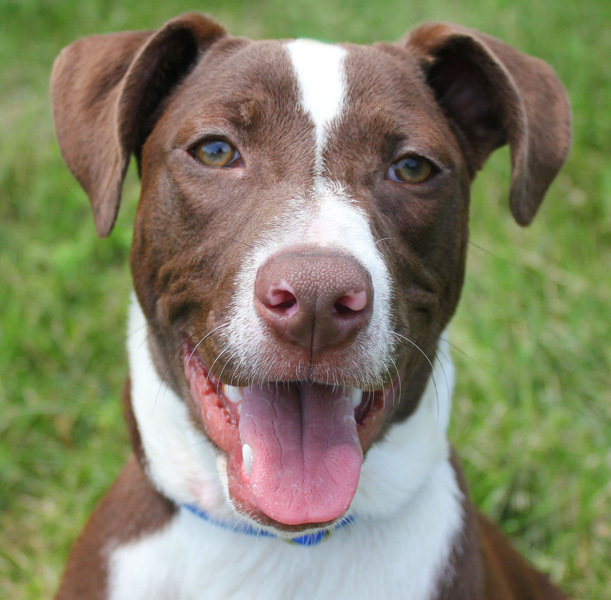 i’m excited ’cause i just found out i getta go to a satellite adoption event on saturday!!! i’m gonna be at Four Paws Pantry & Spa in Olathe from 11-3. i dunno who else is gonna go with me, but i think i heard our humans say maybe Aubrey’d be goin’, too. she’s a new pup, and gets to live with Darla an’ i think she’s pretty. i think we’ll have fun at the satellite together, an’ ’cause she’s just a kid, i’ll make sure an’ show her the ropes! like, i’ll show her how good i am, like well behaved, an’ polite, an’ how all kinds of humans make a real big deal ’bout how calm an’ nice i am so i get lots an’ lots of treats! i know i talked ’bout the kinda forever home i’d like the last time i blogged, an’ i’m really hopin’ i meet some awesome humans Saturday! 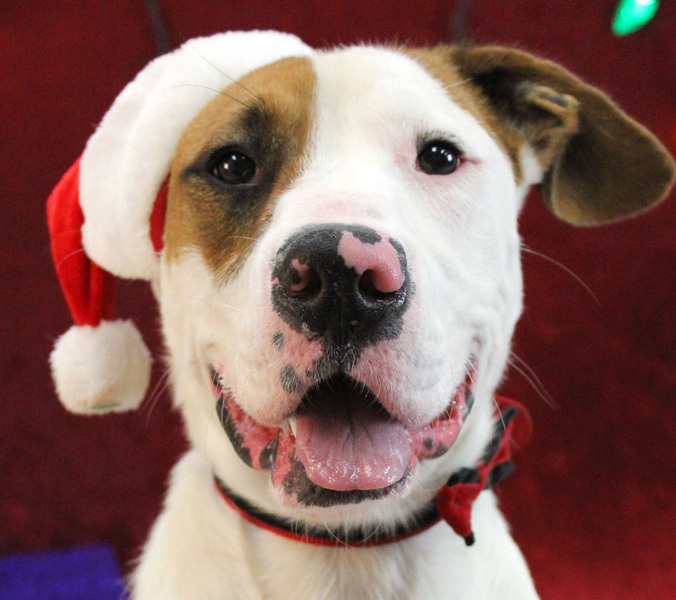 i’ve heard Christine tell humans who apply to adopt doggies that i’m “pretty bomb proof”… which i think is her way of sayin’ i’m da bomb ’cause i’m so good with other dogs, they all love me! 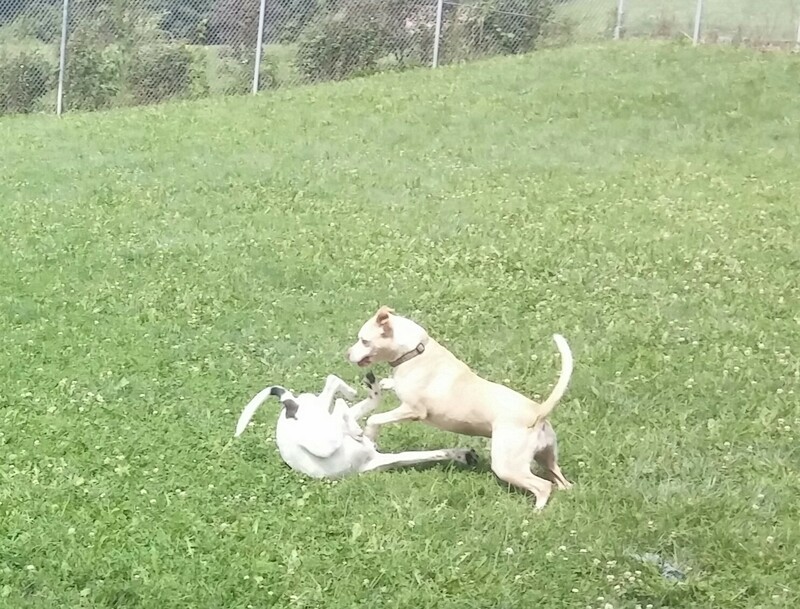 i’m great in play groups, an’ just a fun lil guy! i like my roommy Radar lots, like i love wrestlin’ an’ runnin’ around the yard with him! k, so one more thing, i’ve been takin’ some agility classes at The Dogs’ Spot, which is really fun… i like doin’ it, an’ know the human who takes me, Stan, is real proud of me for all the stuff i’ve learned how to do! so, this real nice lady who takes our pictures made a video of me doin’ some of my agility stuff, so check it out! that’s all i got for now, but if you want a “bomb proof” dog as a friend for your dog, then you gotta come an’ meet me Saturday! for more info ’bout where i’m gonna be, go to www.hsgkc.org. bye!!!! Hey ya’ll, ma name is Groot an’ I’m from Nawlin’s Loo-see-ann-nah. I was in a shelter dere, an’ Jai (one of da humans here who takes care of us dogs), got me on somethin’ called a “transport” to come here. I’m glad I’m here, cuz dis shelter is I think kinda a special place, so I think I’m a lucky boy to be here! 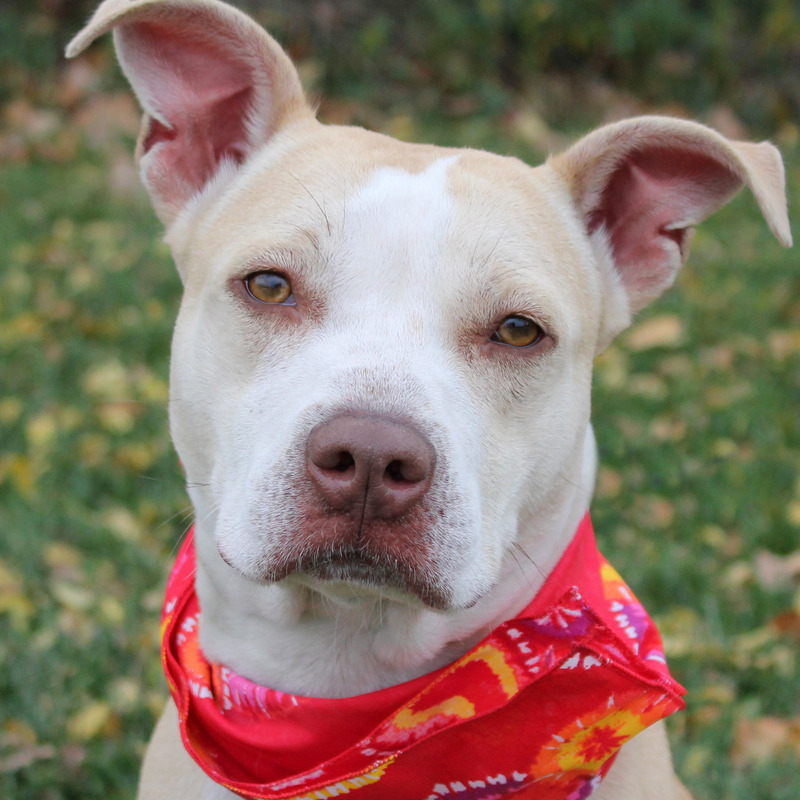 So, here’s summa my info… I’m a Pit Bull mix, a lil over a year old, an’ I LOVE humans!!!! I love bein’ petted, an’ goin’ for walks, an’ gettin’ treats (I like Kongs with dee-lih-shous wet food in dere for me to eat!). I love gettin’ in a human’s lap for pets, an’ I give good, nice kisses… I’m not a slobbery kisser! I’ll tawk mo’ ’bout da kinda forever home I’d like anoder time, cuz I wanna tawk ’bout somethin’ more fun dat I gotta do last Sunday. Our humans here always wanna do extra stuff to help us dogs an’ cats find forever homes, so I gotta have ma picture taken with 11 oder dogs for something’ called “Da 12 Strays of Christmas”. Ya gotta looka’ somethin’ called “Facebook” an’ “Instagram” cuz that’s where dey post da dogs an’ cats. I was real good for ma picture session, an’ looked real cute. Da pic ya see here is funny cuz it looks like I don’t got ears, but I think I look cute an’ real sweet like da nice boy I am! It was lots of fun gettin’ my picture taken cuz I got LOTS of treats, an’ Christine an’ Jana dressed me up an’ stuff to make me look mo’ handsome dan I already am! Dat’s all I gots ta tawk ’bout fo’ now, an’ it’s time fo’ me to go play in da yard an’ run ’round! I hope ya’ll like our pictures an’ maybe think ’bout donatin’ stuff like toys or oder stuff our humans need to take care of us… dey need alotta stuff to take care-ah all us! If I don’t tawk ta ya’ll befo’ Christmas, I hope ya’ll have a happy holiday!